The Steinberg UR-RT2 is an audio interface that communicates with your computer over USB 2.0. 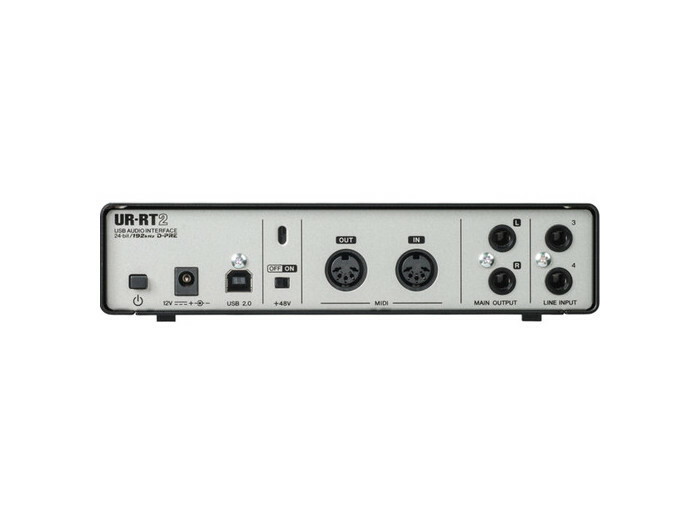 It provides four inputs, two outputs, and conversion up to 192 kHz / 24-bit. Preamps have been designed by Yamaha, providing a transparent and detailed capture of sound. Furthermore, switchable transformers are on hand courtesy of Rupert Neve Designs, a company famous for, amongst other things, their switchable harmonic distortion, which rounds out signals and lends warmth to otherwise cold audio. These transformers are beneficial for vocals, acoustic guitars, or any instrument with significant dynamic range. 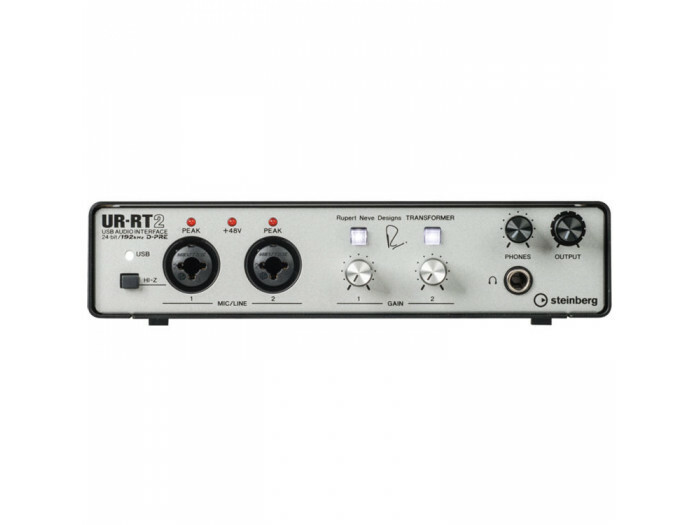 On the front panel, you'll find combination XLR-1/4" jacks that are switchable between microphone and Hi-Z configurations. Next to these inputs are the gain pots and transformer switches, between which you'll find RND's logo. A single headphone output jack, headphone level knob, and output level knob are all prominently displayed. Turn your attention to the rear of the device and you'll note the MIDI I/O, two line inputs, two main outputs, a USB port, and a +48V phantom power switch for powering condenser microphones. An SSP2 DSP chip is on hand to help you achieve zero-latency FX monitoring across many DAWs and platforms, making this device suitable for use with laptops, tablets, and desktop computers. At 7.8 x 1.9 x 8.2", the unit is compact enough to take on the road.